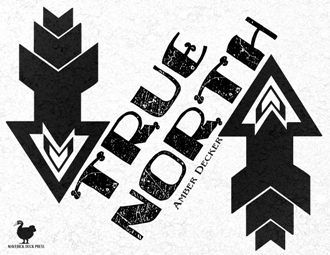 Amber Decker - "True North"
Amber Decker is the author of the poetry collections Sweet Relish and Lost Girls. Her poetry has appeared in Exquisite Corpse, Zygote In My Coffee, Arsenic Lobster, Contemporary American Voices, and others. In 2011, she placed first in the 14th annual Poetry Superhighway poetry contest and was invited to serve as one of three judges during the contest’s 15th year. She has been nominated twice for Best of the Net and once for the Pushcart Prize.